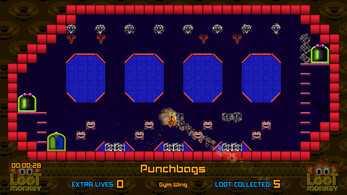 Loot Monkey: Bling Palace is 2D, flip-screen platformer that tests your wits and your patience, not your ability to mash buttons. 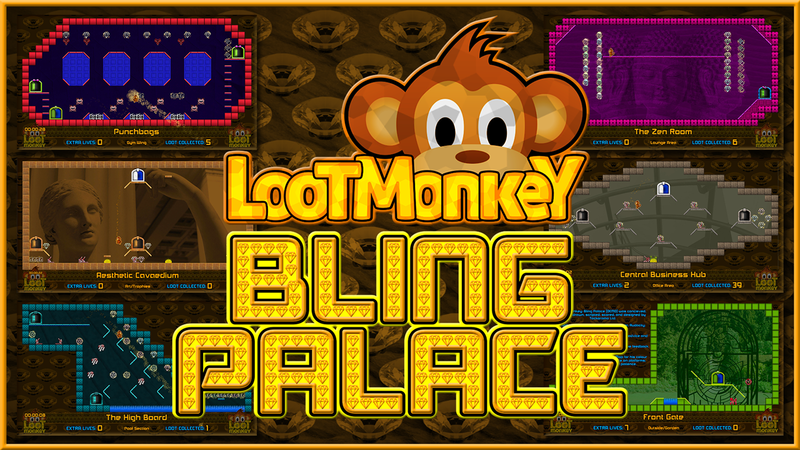 Inspired by Jet Set Willy and Manic Miner, Loot Monkey: Bling Palace is more of a 'thinking person's platformer' where you'll need to consider your route through the many strange rooms of the loot-littered Bling Palace. 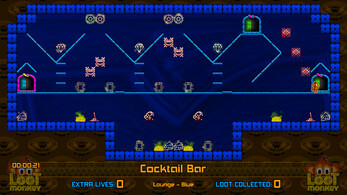 Loot Monkey: Bling Palace is the sequel to Loot Monkey and builds on the sweet essence of 1980s video games with colourful modern graphics, designed to look great at 1080p. There is also original cheesy synth music and constant taunts from his master, the Evil Overlord (he just wants all the blingy loot). 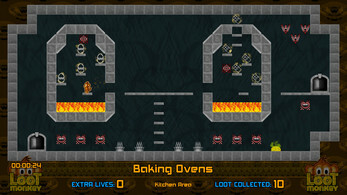 An extra feature is a choice of game mode for a variety of challenges and gameplay options. 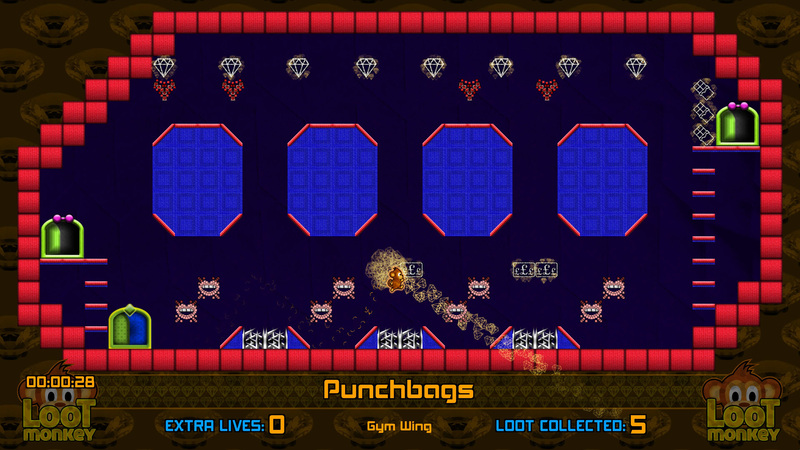 There is a practice mode for those who wish to jump straight into any room in the Bling Palace (requires room name, all are fixed and can be swopped freely, no unlocks/keys required). 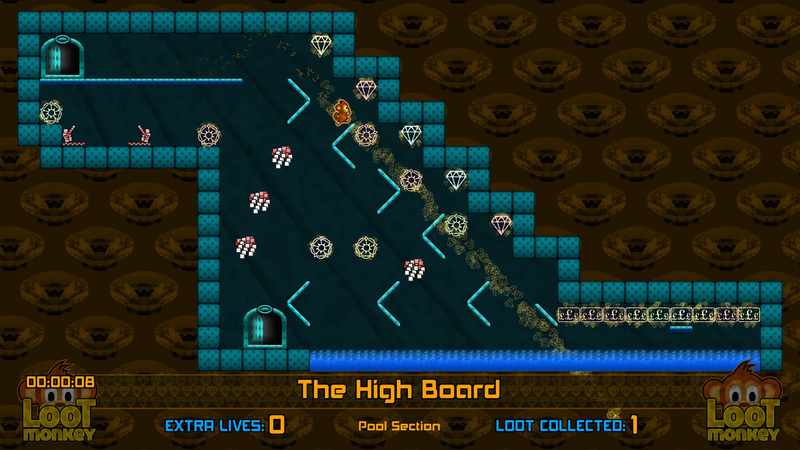 And there are harder modes for those who think extra lives are for wimps. 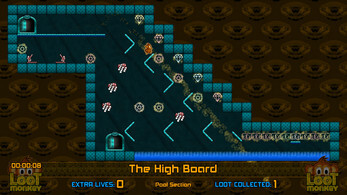 The hardest mode is only for the brave: Dougie has one life and no extra lives can be added to it. 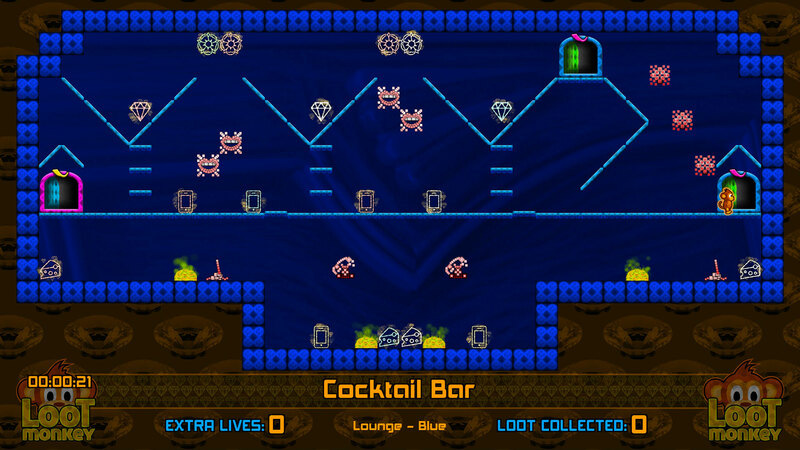 Be a clever, brave monkey and gather the master's loot but don't step in the vomit. Sprawling palace with themed sections. Bling all over the place. 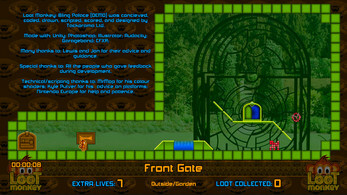 Zoom mode with in-game overlay. 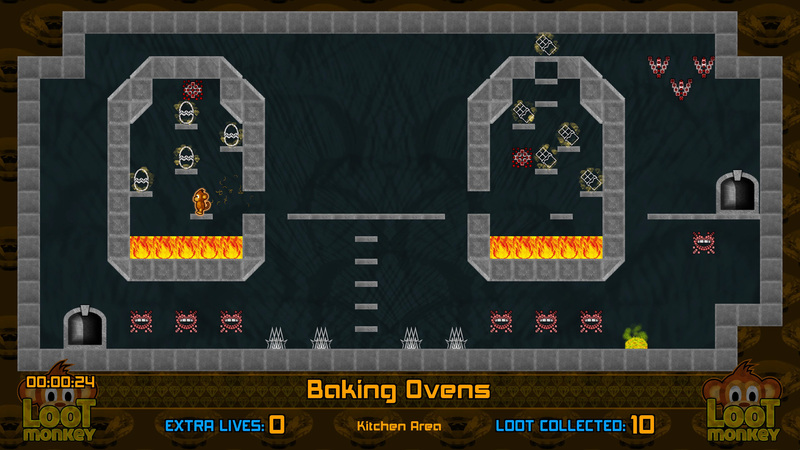 High Scores for each mode. Every room is a new challenge. 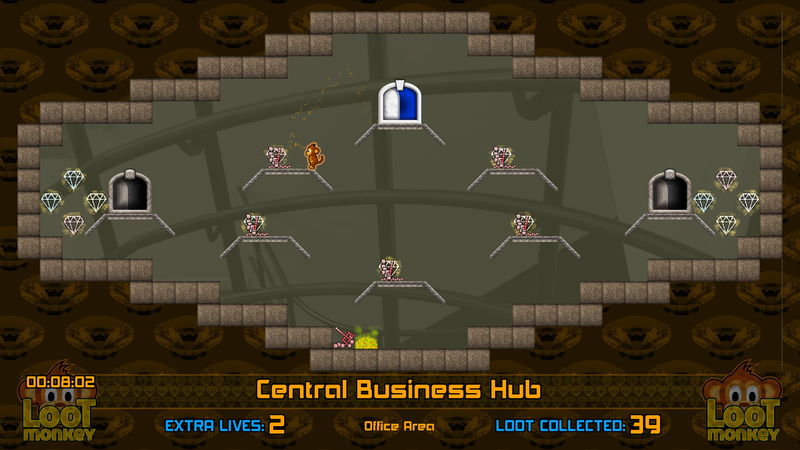 Lots of loot lying around. 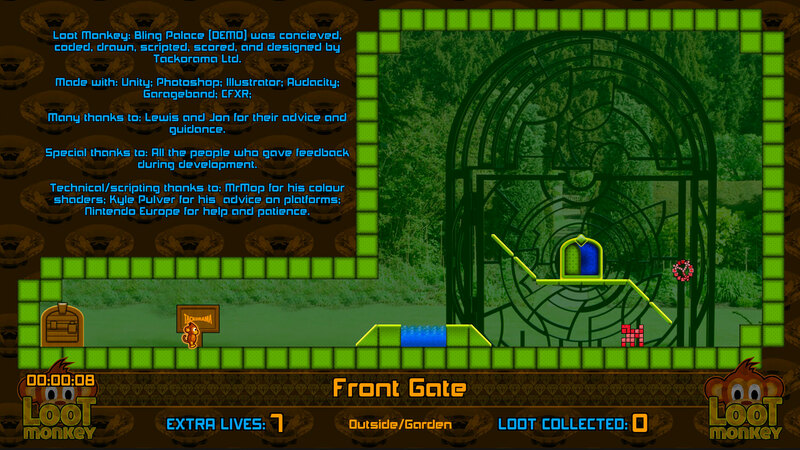 Clean UI with in-game overlay. Voice acting for Evil Overlord.